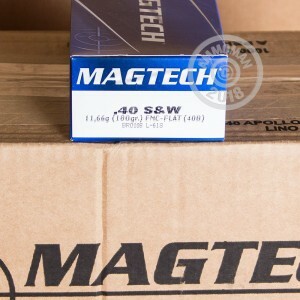 This .40 Smith & Wesson ammunition from Magtech makes an excellent range load for your pistol. 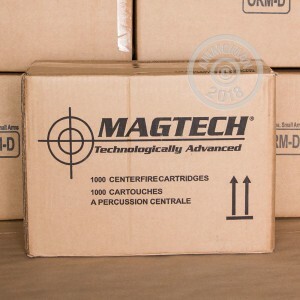 Each round in this box of 50 fires a 180 grain full metal jacket bullet at a muzzle velocity of 990 feet per second. 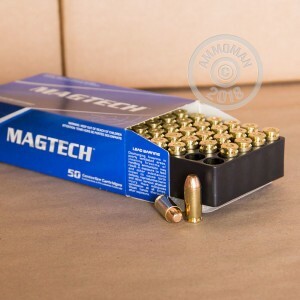 Magtech ammunition is loaded in Brazil by defense contractor CBC using non-corrosive Boxer primers and brass cases. Buy a few extra boxes or any other items over $99 at AmmoMan.com and get FREE shipping!